When she needed accommodation, you won’t believe the rigmarole that ensued. 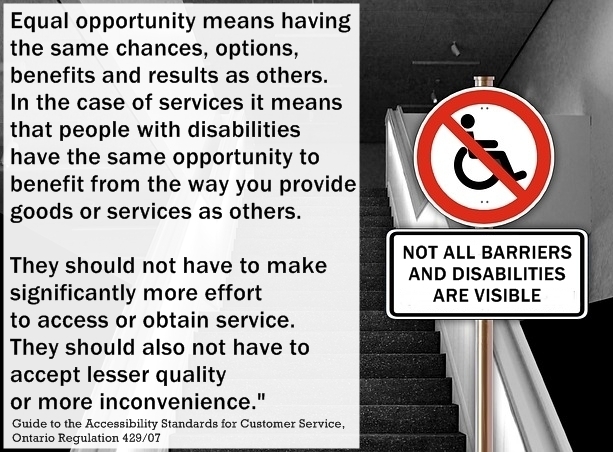 Someone with MCS (who wishes to remain anonymous) was asked about how her efforts to receive appropriate, safe, accommodation were going, so she could see a health care provider. She is one of a growing number of people who become disabled from exposures to toxic chemicals found in many everyday products and materials, especially in fragrances. She contacted a health care provider by phone and talked to a receptionist. She asked her if they had a scent-free policy and was told they didn’t. When air is polluted both indoors and out, when people use fragrances and other products with toxic chemicals, when we are made ill and disabled by the pollutants, then we can’t wait for better regulations to take effect, we need to do something to protect our health now. Sometimes we can buy masks that work for us, especially if we tolerate synthetic materials, but sometimes making our own is the only way. When we make our own, we can use safe-for-us fabrics and even coordinate them to our outfits (if we’re lucky enough to have safe-to-wear outfits). How Acceptable Are Your Levels? 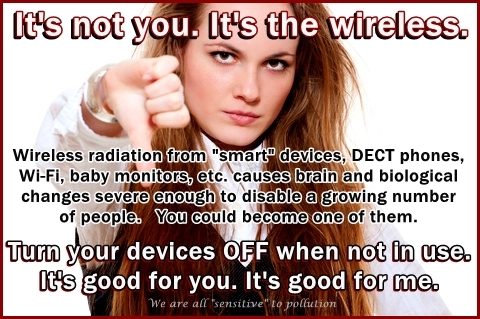 Do you know that you have hundreds of toxic chemicals in your body right now? Do you know that our bodies weren’t designed to deal with 24/7 exposure to the kinds of substances we are breathing, ingesting, and absorbing all the time now? 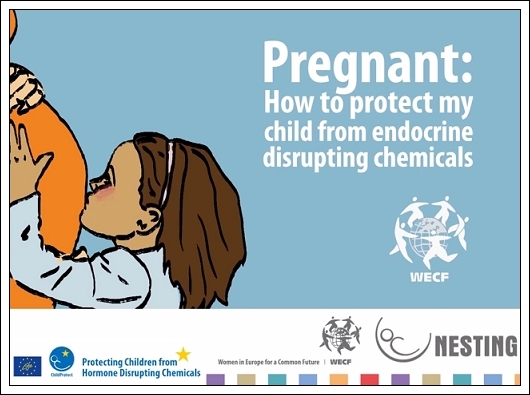 How many of you have any idea what kinds of chemicals are in your body now, and what kinds of health effects they might be having on you, or on your eggs and sperm? Have you agreed to be a chemical experiment (and are any of you being paid for it, or receiving funding to deal with the adverse effects that might happen or are happening)? If you are like most of us, then you are completely unaware of what we are all being exposed to and the effects these exposures are having on our health. We still believe that products have to be safe if they are being sold to us. It’s hard to believe otherwise. 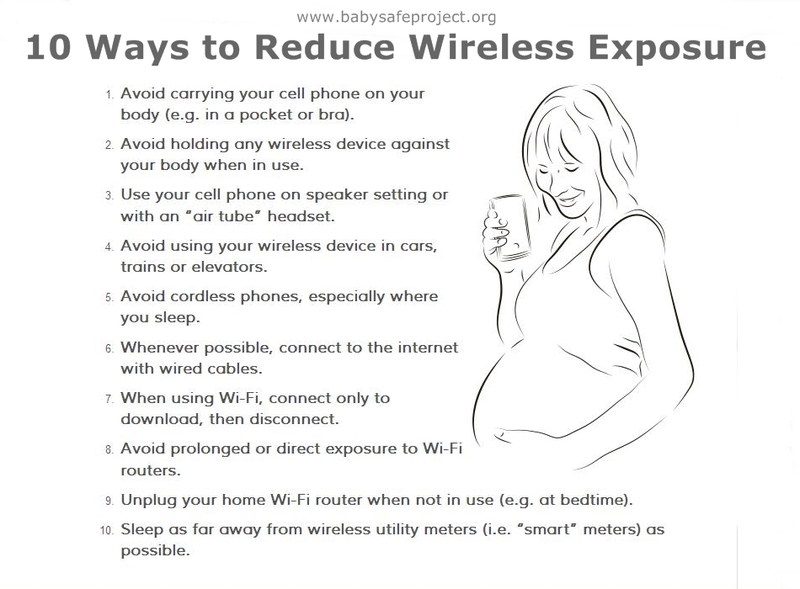 A great new resource has been launched to guide mothers and mothers-to-be regarding wireless radiation hazards and safety precautions that need to be taken.